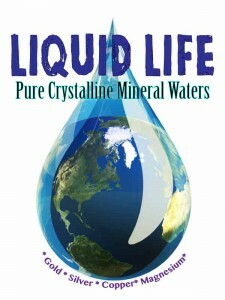 There is a reason we call these minerals “Liquid Life.” They are presented in a pure crystalline form measured in nanometer sized particles. What does that mean to you? Instant absorption, rapid effect, no toxicity. Your body utilizes what it wants and simply passes the rest. No accumulation. There truly is nothing else like this anywhere! Our mineral waters are sold in a concentrated form. They can be mixed, one 8-oz bottle with 1 gallon distilled water and taken as a course of treatment, one glass a day until gone. For daily maintenance, take one capful undiluted a day. Fires the electrical system of the heart, helps regulate rhythms and impulses. Also critical in building bone mass. Magnesium is also known to ease muscle tension, lessen pain associated with migraines, aid in sleep quality, and help with muscle spasms. Because it is a plays an essential function in hundreds of biochemical reactions within our cells, magnesium literally affects the brain, muscles, and the heart and blood vessels. It is hard to overstate the effects Magnesium can have in our body and the benefit of an effective, absorbable supplement. 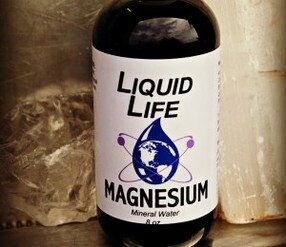 There is a reason we call these minerals “Liquid Life.” They are presented in a pure crystalline form measured in nanometer sized particles. What does that mean to you? Instant absorption, rapid effect, no toxicity or accumulation. There truly is nothing else like this anywhere!